PLEASE NOTE: Color options in drop down field correspond to the order of product images displayed. 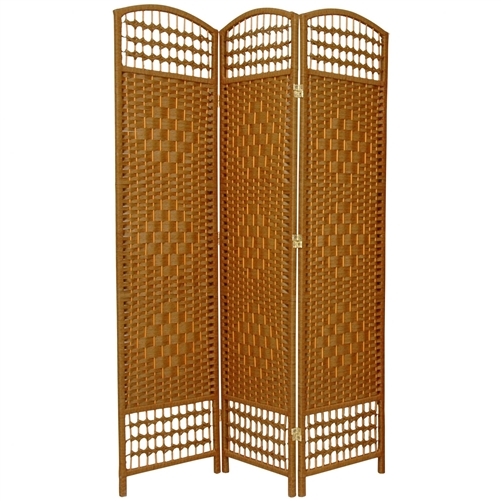 This is an exotic and attractive decorative room divider, crafted from wood frames and spun plant fiber cord. 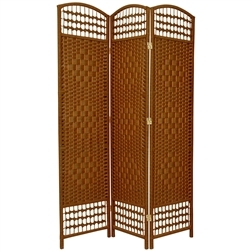 The plant fiber cord takes colored dye beautifully, and is interwoven with quarter inch wood dowels to create a pattern similar to classic rattan folding screens. The wood is light weight, with 3 extra horizontal members reinforcing the frame, creating a light, durable floor screen. Triple diamond medallion design with open top & bottom. Crafted from lightweight wood framing & spun plant fiber cord. Hardy design with extra 3 horizontal reinforcements. 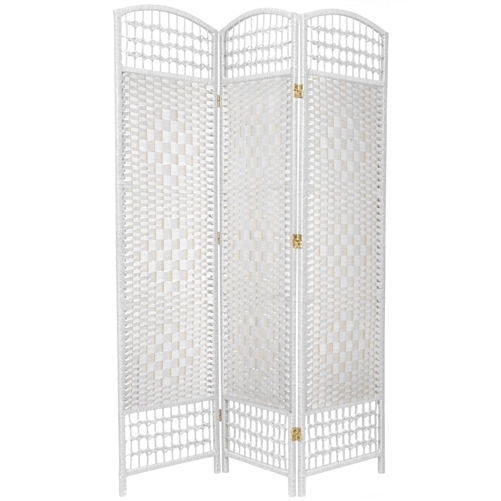 Available in 7 fine finishes & 4 portable, practical sizes. Bottom opening measures 14"W x 3"H.